Motivate your team at Regus The Henley Building (pictured top), a new Oxfordshire office space designed for discerning professionals. It’s situated within a shimmering glass building on Newtown’s primary business estate and offers three floors of stunning co-working space, including cosy break-out areas, private booths, dedicated meeting rooms and private offices glowing with natural light. In need of fresh air? Take to the roof terrace to soak up the glorious views in summer. You’ll appreciate the property’s convenient location less than a mile from Henley-on-Thames train station and the town centre’s numerous riverside restaurants. And if you’d rather not pound the pavements, hop on a bus into town: the building is just a couple of minutes’ walk from Newtown Road Bus Station. Located in the centre of Hamburg within the vibrant district of Ottensen, Regus Altona couldn’t be more convenient. Not only is this shared office space located within the popular shopping mall, Mercado, it’s also directly opposite subway station, Hamburg-Altona – one of the city’s major transportation hubs. The five-storey property is also steps away from Hamburg-Altona Bus and Coach Station, allowing access across the conurbation and beyond. Maritime fans can explore the nearby Altonaer Museum and Oevelgönne Museum Harbour, which are both walking distance from the building. The offices themselves are spacious and spotless, with plenty of choice depending on your business needs: 81 offices, 231 workstations and four conference rooms cater for companies of any size. An architectural marvel, Regus The Vertical Corporate Towers is ideal for a business requiring a mixture of office and co-working space in Kuala Lumpur. There are more than 20,000 square feet of office space available and incredible views are guaranteed from the 32nd floor. You’ll also benefit from onsite parking, 24-hour access, multiple break-out areas and air-conditioned corridors. The polished property is located in the commercial precinct, Bangsar South (previously known as Kampung Kerinchi), and is easily accessible via three major highways. The Towers also boast some great local transport – it’s walking distance from two MRT stations, with the closest being KL Gateway-Universiti metro, plus bus routes T788 and T789. If you’re in need of some retail therapy after a long day, swing by the nearby Mid Valley Megamall or upscale shopping destination The Gardens Mall. And you won’t want to miss one of KL’s most famous landmarks, the Petronas Towers, as well as the striking six-tiered Thean Hou Temple. 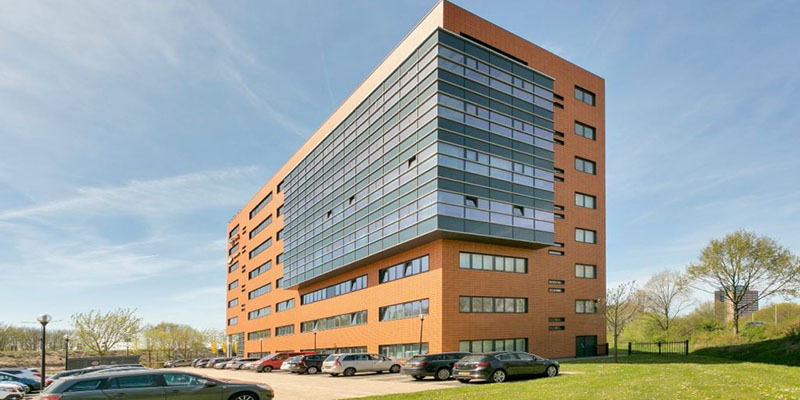 Located in the well-known office district of Breda North, Regus Lage Mosten (pictured below) is a modern, well-connected office space, ready to enable you and your team to achieve new levels of productivity. The eight-storey building stands out with its contemporary orange and silver façade – visible from the nearby A16 and railway. The grand, high-ceilinged, glass-lined entrance creates a fantastic first impression for your clients, while the light, airy office space, co-working areas, meeting rooms and conference rooms are a pleasure to do business in. 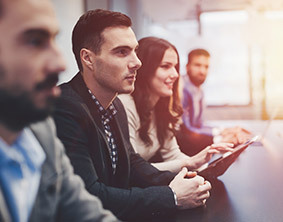 Breda Prinsenbeek Bus and Train Station is just a five-minute walk away, giving you speedy connections to Amsterdam, Schiphol and Rotterdam, while the nearby A16 means you’re also well-served by car. Take your team or clients into Breda to see the beautiful Grote Kerk church, and dine at one of the many first-rate restaurants and bars the city has to offer. 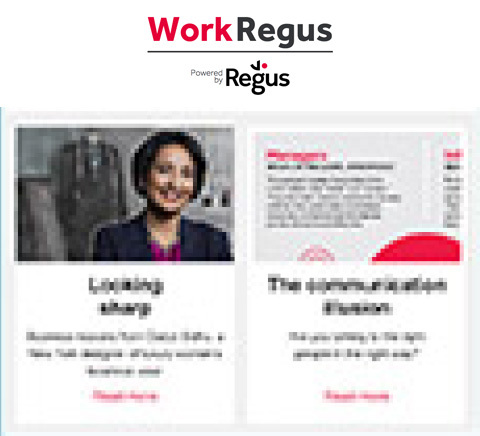 On the fringe of a historic city, in a striking office complex, Regus Est is a dynamic and professional workspace. Located in the second building of a three-towered office complex, you’ll find high-speed Wi-Fi, great lighting and temperature-controlled spaces. Plus, with its 24-hour access and on-site parking, you’ll have the convenience to work when you want. Its business park location neighbours the beautiful Parco d’Europa, where you can unwind on your lunch break. From the building, it’s a quick journey to the Museum of Machines, to inspire your next innovation and, when it’s time to head home, you’ll find the location also has fantastic bus links: from the Circular bus line, you’re connected to the Padova Train Station and downtown, and from there, the whole country. Put your business in a position to compete, at Regus Al Olaya – a specialised business centre on the fourth floor of the incredible 200-metre tall Hamad Tower. With plenty of air-conditioned offices, co-working areas and meeting rooms available, you can adapt the space to suit your business. The location of the centre is another boon: in Al Olaya you’re connected to the vibrant business heart of the Saudi capital, with the building itself next to many major governmental institutions and the headquarters of several major corporations. The convenient transport links keep you in touch with every section of the city, while drivers can take advantage of the secure underground parking and 24-hour CCTV monitoring. There’s something special about a new build, especially when it’s as eye-catching as Regus Singha Complex – part of the mixed-use Singha complex in Bangkok’s thriving CBD. Located on the 30th floor, the offices, co-working spaces and conference rooms all enjoy commanding views, as well as Grade-A facilities. The location is second-to-none, being close to Phetchaburi MRT station, expressways and the express boat. It’s also near the Makkasan Station Airport Rail Link. Visitors can stay at one of the many hotels nearby, including the five-star Pullman Bangkok Grande Sukhumvit and the four-star Furama Xclusive Asoke. For client or team entertaining, visit one of the many authentic Thai restaurants on your doorstep as well as Terminal 21 and Central Rama 9 for shopping. Across Germany’s Ruhr region, industrial cities of the past are being revitalised by modern business growth – with Oberhausen being the perfect example. Tap into this exciting renaissance at the new-build Regus Centro, where you’ll find co-working space, meeting rooms and hot desks, all with high-speed Wi-Fi and modern furnishings. The business centre has everything to keep you productive, including 24-hour access and on-site parking. You have great access to local transport with the Neue Mitte Bus and Light Rail Station 200 metres away. Want to take a break? Book a tour around the Peter-Behrens-Bau, part of a seven-building display on Germany’s industrial past. The site also borders one of the largest shopping malls, meaning that everything from food to office supplies and electronics are a stone’s throw away.